New to the Art Works will be this spring’s Youth Art Month presentation, a collaboration with the Berkeley County high school art departments. With the gallery’s regular and standard opening hours (Wednesday through Saturday), the students’ work will receive more well-deserved exposure. Since opening the Berkeley Art Works with its gallery and classroom at 116 North Queen Street in 2013, more than 40 exhibits have been presented. Some are local and regional, like this month’s Member Show and the fall’s Eastern West Virginia juried event. “We’ve created these exhibits to offer local artists opportunities to display their work, but also to bring a wide variety of art to Martinsburg for residents to enjoy,” explains Shaver. The eighth annual Art and Earth themed exhibition is being offered to artists nationwide and will open in the Arts Council’s gallery on April 4, 2018. Working with other creative people in Berkeley County, the BAC assisted the startup of the Berkeley Community Chorus, now beginning its seventh year. For four years BAC managed the annual Dance Works Festival. Last year 150 young dance students had the opportunity to learn from topnotch regional instructors in a weekend-long event. Both the Chorus and Dance Works are now independent activities that continue to add to the cultural life of Berkeley County and the region. The county-focused Trails and Trees art trail began when BAC gathered local artists with a common interest, encouraging them to “run with the ball.” Autumn of 2018 will see an exhibit featuring arts and crafts created by area veterans. Since establishing the facility on Queen Street, “We’ve recognized that BAC can be an important element in downtown Martinsburg,” added Shaver. 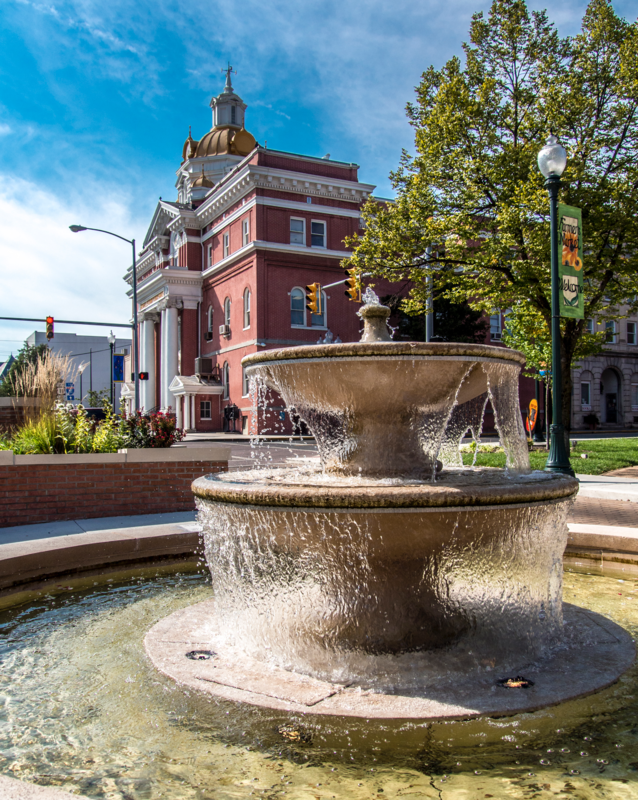 “This year we’ve been working with Main Street Martinsburg and the CVB on more projects.” A brochure, compiled by BAC members, provides visitors with locations and other information about places of interest, stores and restaurants. Funded by the CVB, the pamphlet is available at about 40 locations in and around downtown. As the City nears finalizing its revised Comprehensive Plan, BAC looks forward to being a partner as Martinsburg’s downtown realizes its potential to attract residents and visitors to appreciate everything the city has to offer, putting forward a proposal for an arts and heritage district that would be a key to promoting tourism. Berkeley Arts Council has broken some ground for the arts in our county and region, but the many opportunities that remain will require more partnerships within the community and further growth of the arts council structure. Individual volunteers, partner businesses and organizations will help enrich life in our community.